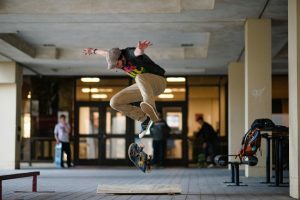 After a scoreless first period of play, the Boston College hockey team exploded for four goals in just more than nine minutes in the second period en route to a 6-3 win over Northeastern. 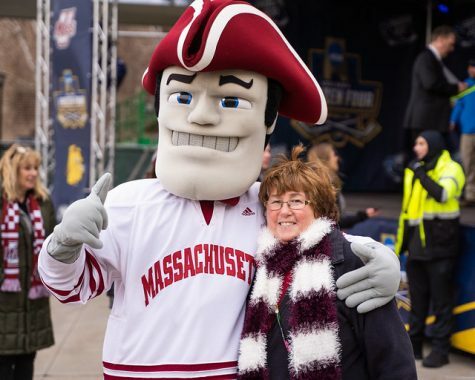 The victory signaled more celebrations for the defending national champions, who lifted their fourth Beanpot in as many years following the final horn. 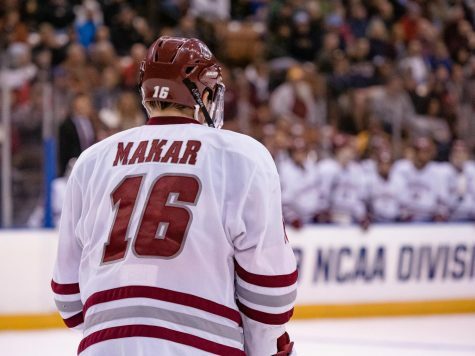 For the Eagles (17-7-2, 12-6-1Hockey East Association), the 2013 Beanpot is their 18th in the history of the competition and their seventh under coach Jerry York. 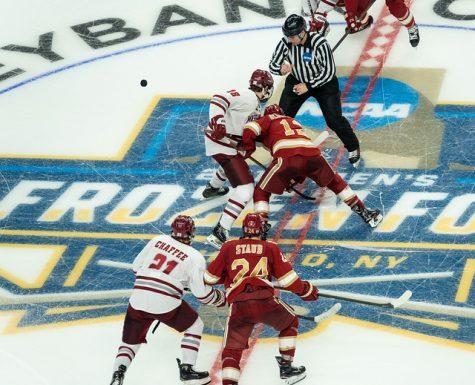 The senior class is the first class in BC history to have a perfect Beanpot record, with Patch Alber, Brooks Dyroff, Parker Milner, Pat Mullane, Patrick Wey and Steven Whitney all concluding with four titles in the span of four years. Bill Arnold and Johnny Gaudreau opened the scoring with goals separated by just 1:15 in the second period. Beanpot Most Valuable Player Kevin Roy pulled one back for the Huskies (8-14-3, 4-11-3 HEA), before Patrick Brown and Whitney tallied another pair for the Eagles. Roy scored another 11 seconds into the third period and Braden Pimm added the Huskies’ third at 3:56. However, the Eagles pulled away late with Gaudreau’s second goal of the night and Mullane sealed it with an empty-net strike with less than two minutes left in the game. 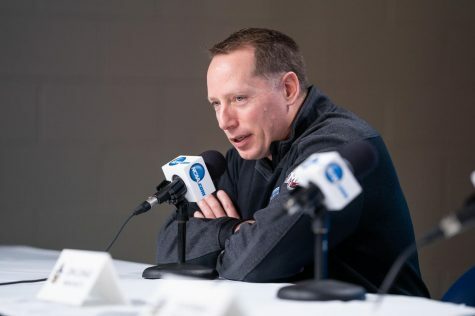 Despite the defeat, Roy’s two goals brought his tournament total to five, after his hat trick propelled the Huskies past Boston University in the first round. 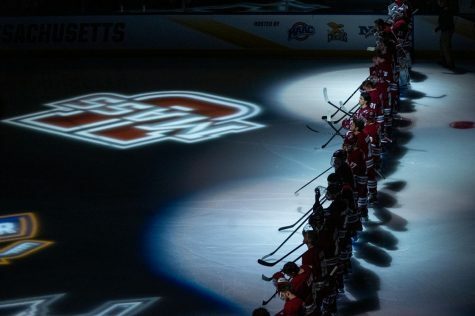 Luke Greiner scored a hat trick while teammate Marshall Everson added a pair in Harvard’s 7-4 win over Boston University in the Beanpot consolation game on Monday night. Mike Moran opened the scoring for the Terriers (13-12-1, 10-7-1 HEA) at 3:12 in the first period before Wade Megan made it 2-0 with his shorthanded effort beating Peter Traber. 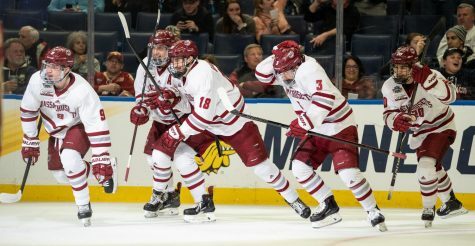 The Crimson (6-15-2) regrouped and responded about 75 seconds later when Dan Ford scooped up a rebound that Terrier goalie Sean Maguire let trickle away and slotted it into the top left corner. Danny Biega added Harvard’s second about 14 seconds before the first intermission. Harvard was called for a penalty as the period ended and the Terriers converted one minute, 38 seconds into the power play on a goal by Evan Rodrigues to regain the BU lead. It was all Crimson from that point on. Everson knotted the game at three with 3:19 remaining and Greiner gave Harvard its first lead 73 seconds later. 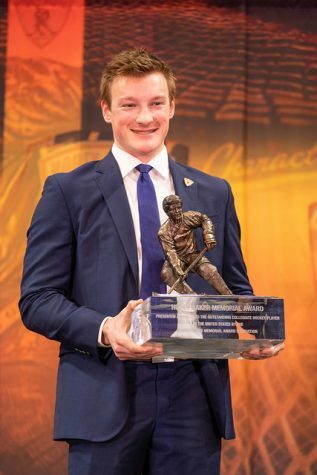 At 16:33, Greiner extended the lead to 5-3 by converting Harvard’s only power play goal of the tournament. In the third period, Everson added his second to double up the Terriers before Cason Hohmann registered their fourth goal of the night. 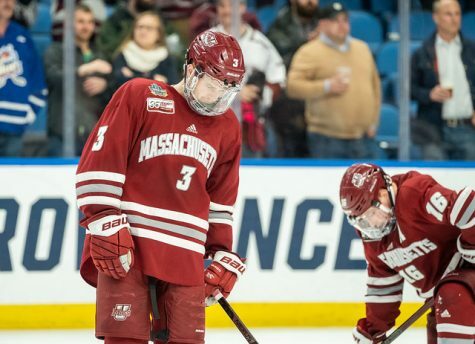 Greiner completed the hat trick with an empty-net goal with just eight seconds remaining in regulation after Maguire was pulled for the extra skater. 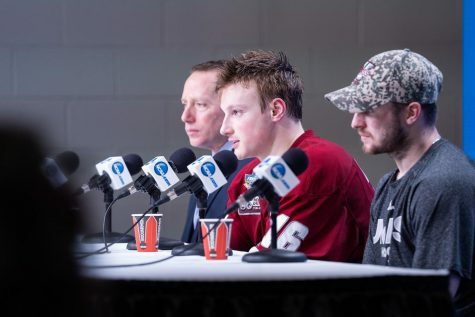 For Greiner, the hat trick was the first of his career in his final Beanpot game before graduating as a senior. It was the first time since 1979-80 that Harvard had beaten the Terriers twice in one season.